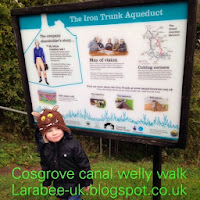 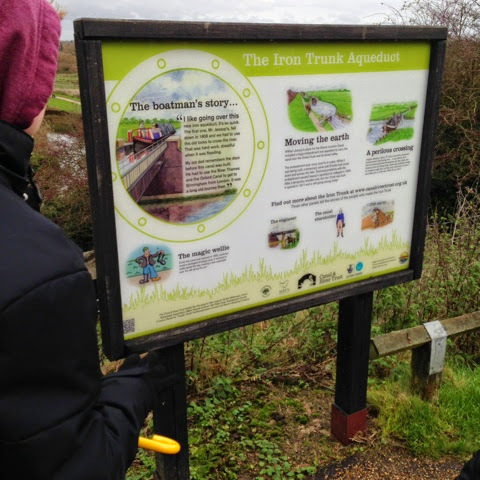 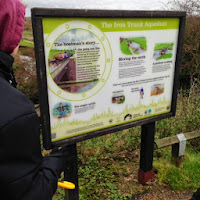 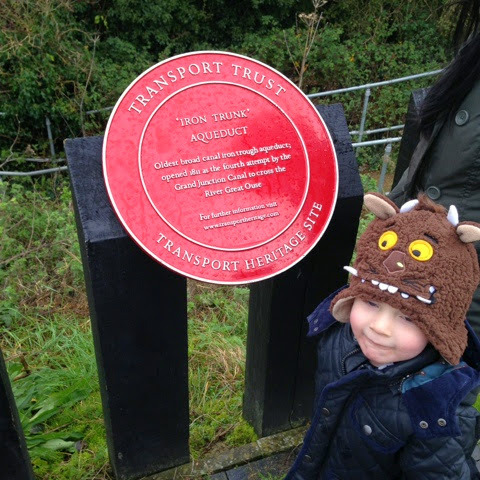 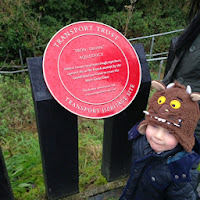 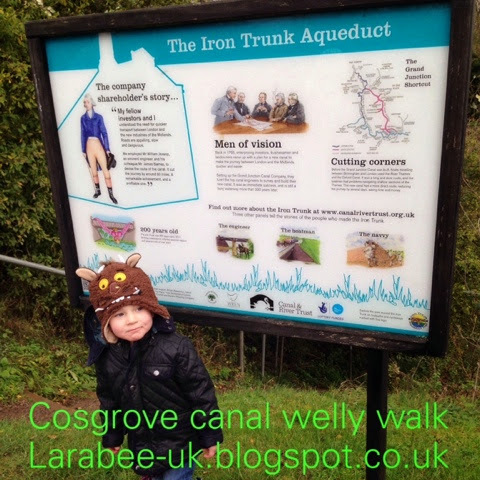 This weekend we went for a lovely welly walk along the Grand Union Canal, we decided to go along from Cosgrove and cross The Iron Trunk Aqueduct. 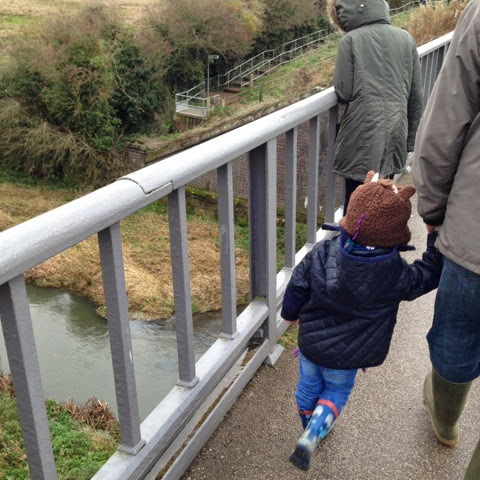 Kelsey (K) and Hayden (H) were with us this weekend, so we told them to bring some wellies/old trainers and warm coats. 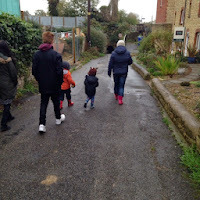 We also asked Auntie Lindsey (The Sis), Uncle Andrew (The BIL) and Jack (J) if they'd like to join us for a nice walk and some hot chocolate and hot dogs afterwards. 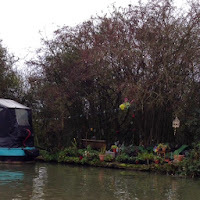 We set off in a little bit of drizzle, the weather forecast wasn't good so we wrapped up and took some umbrella's soon the drizzle stopped and stayed off until we went home! 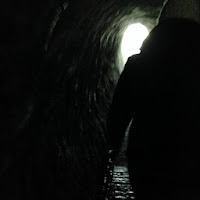 T liked going through the tunnel to get to the right side of the canal, he and J shouted to make echo's. 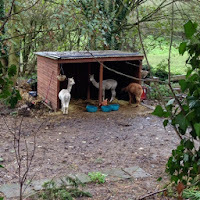 We saw lots of animals, in one garden there were 3 alpaca's, so we said hello to them. 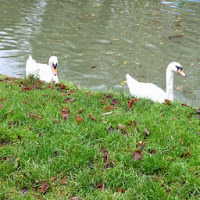 We also saw lots of chickens, ducks, swans, a goose and some moorhens! One boat had a lovely little garden. We crossed the aqueduct, Kelsey looked over the edge ugggggghhhhh I couldn't do that - I have to stare at the end and not look down!!!! 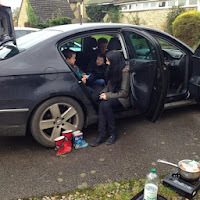 When we got back to the cars K & H were put in charge of keeping the 2 little ones occupied in the car whilst the food cooked. 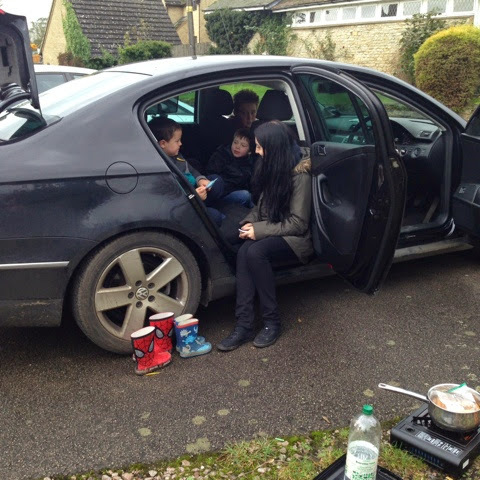 I was a bit silly and didn't set the camping stove up correctly so this took a lot longer than it should have, T & J had already eaten a roll each by the time the hotdogs were done! 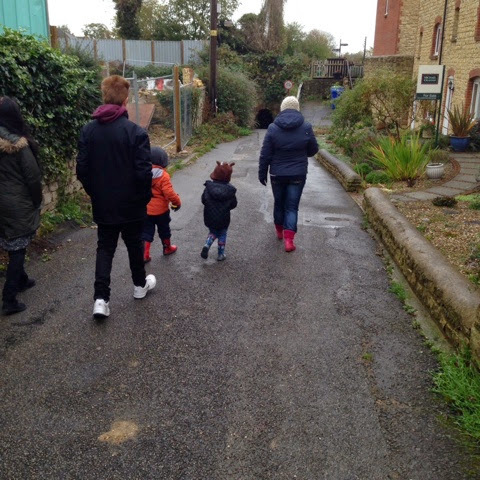 We really enjoy taking something to eat and drink with us when we go out and about, it's just something a little bit different and a new memory to give to the children.